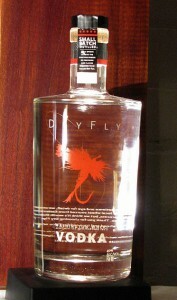 Notes: This Vodka is microdistilled in small batches from a locally sourced wheat in Washington State. It is both pot, and then column distilled and fresh mountain water is used to cut to 80 proof. As this is a wheat vodka, my thoughts were this could go either way- many wheat vodkas seem to me to be harsh and smell like rubbing alcohol (not nearly as charming as a rye). Others can be floral, peppery and full of good smell.This vodka was thankfully one of the latter. Appearance: Crystal clear, no sediment whatsoever or separation. Medium-to-thick body. On swirling, it leaves a thin uniform clear coat on the inside of the glass, then some legs forming followed by tear drops on the swirl line. First Impression: Clean alcohol notes, cream soda/vanilla bean notes. Traces of mineral, citrus, floral, a little Szechuan pepper perhaps, wheat grain. A touch of rose seems to come from high quality wheat vodkas like this (not sure why?) – it also picks up apple notes after extended aeration. Taste: Buttery body to it, almost fatty (and I mean that in a good way – it is not some cheap, thin, spirit). Much more vanilla, smooth, charming and the vanilla starts to dry and linger nicely on the tongue while other floral and light citrus aromatics continue. Drinks: Actually I like to drink it at room temperature neat.It’s certainly good enought to be able to do that and enjoy it. Plays well with other ingredients, but unlike a lot of vodkas does not disappear. 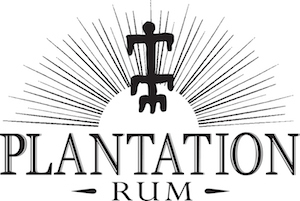 Lends a very nice array of subtle aromas, mouthfeel, and weight to a vodka drink. Bottle: Distinctive, short cylindrical bright clear glass with sharp shoulders, and NO frosting unlike the sea of others. Simple graphics silk screened or printed directly onto the glass. Nice heft to the bottle and a good grade of clear glass with nice decanter base so it is solid and hard to knock over. Shows the vodka to excellent effect. Each bottle is also hand sealed with a notation as to batch number and bottle number within the batch – a nice touch. Bottle is from France – where they seem to make a much better grade of glass and this makes the bottle shine and create a nice presentatation. Final Thoughts: Not only a truly outstanding wheat vodka, but it costs half the price of it’s competition which is classified (by their price point ) in the super premium luxury category. Absolutely makes Avian Fashion Victim vodka seem like windshield washer fluid for only a couple dollars more (if that). Locally sourced ingredients, environmentally friendly and tastes outstanding. Can’t get much better than that! 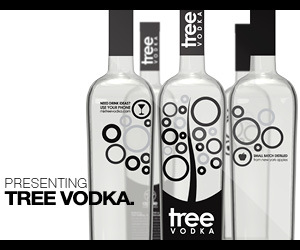 Now you can drink great vodka,save money and save the enviroment (oh, and maybe impress your friends too on all of the above). Fast loading, fair amount of information. Easy-to-read. Good content and descriptions of production.